Cepelinai or Didžkukuliai (singular: cepelinas) are a Lithuanian national dish. 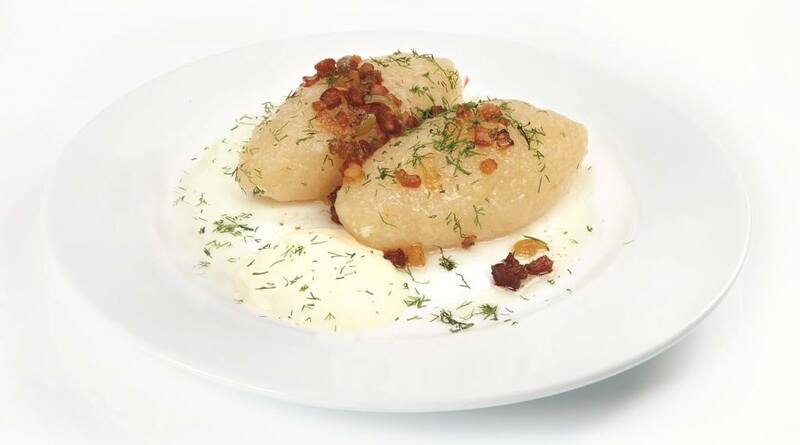 They are a type of dumpling made from grated and riced potatoes and usually stuffed with minced meat, although sometimes dry cottage cheese (curd) or mushrooms are used instead. So named because their shape resembles that of a Zeppelin airship, cepelinai are typically around 10–20 cm long, although the size depends on where they are made: in the western counties of Lithuania cepelinai are made bigger than in the east. After boiling, the cepelinai are served with sour cream sauce and bacon or pork rinds.